This six-bedroom statement of avant-garde Zen design. 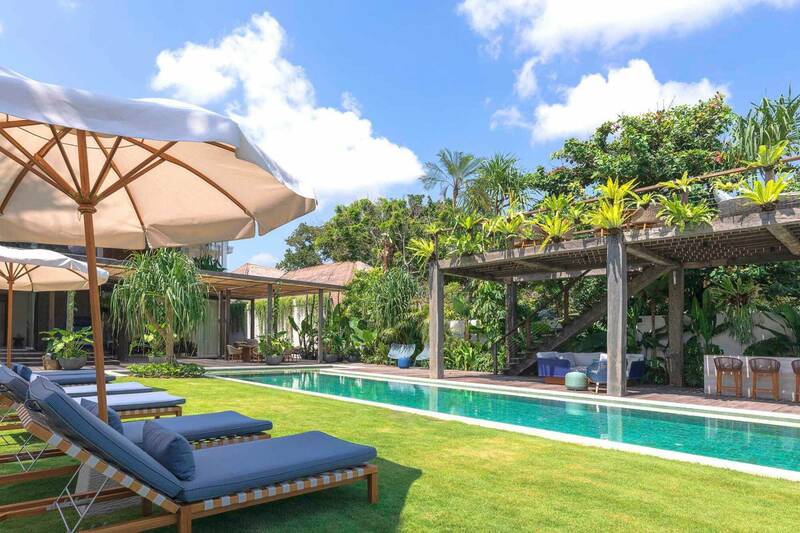 A cool and calm aesthetic is imbued throughout this exquisite Bali residence, which presents beauty in every corner. Reminiscent of the mythical Shangri-La in James Hilton's "Lost Horizon", exotic overhanging greenery creates an otherworldly indoor-outdoor experience at this tropical oasis. 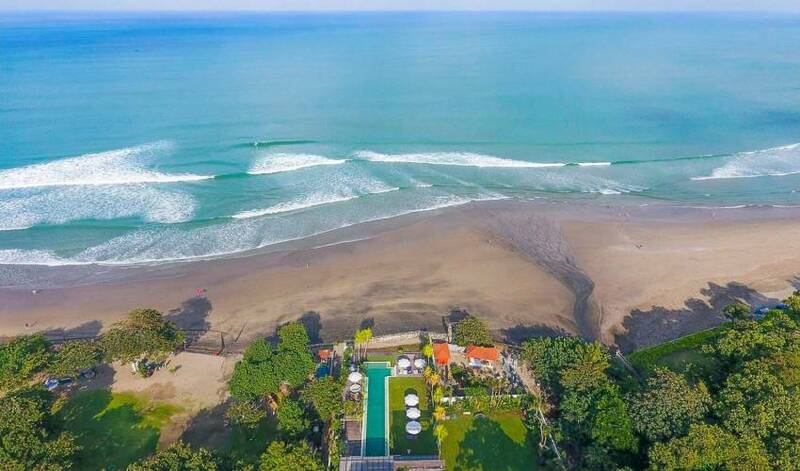 This beachfront Seminyak villa is a dream for those who love to entertain, with a fully staffed commercial kitchen, a preparation kitchen, wine room, bar and maître’d station by the dining room. The villa has its own private radio station with playlists developed by some of the world’s most celebrated DJ’s. A Void sound system is controlled via a tablet and each room and space has independently controlled sound. The enormous shaded pool balé and dining area has a chill-out space furnished with Arabian style daybeds, and is crowned by a party-perfect sea-view terrace. Three opulent oceanfront bedrooms have big blue-water views and all six bedrooms are appointed with exquisite linens, sublime finishes, state-of-the-art sound systems and connectivity, plus beautiful tropical bathrooms. Elegant modern interiors are embellished with custom-made furniture, exclusively designed wall and floor tiles, ancient salvaged wood from throughout the Indonesian archipelago and opulent Moroccan-inspired colour schemes of mint green, navy and turquoise. The villa’s 27-metre swimming pool features shallow sunken areas for chilled sunning – just a stone’s throw from the beach, while a private walled spa with a mosaic-tiled plunge pool is accessed through a stunning colonnade featuring Japanese-influenced ponds and a waterfall. 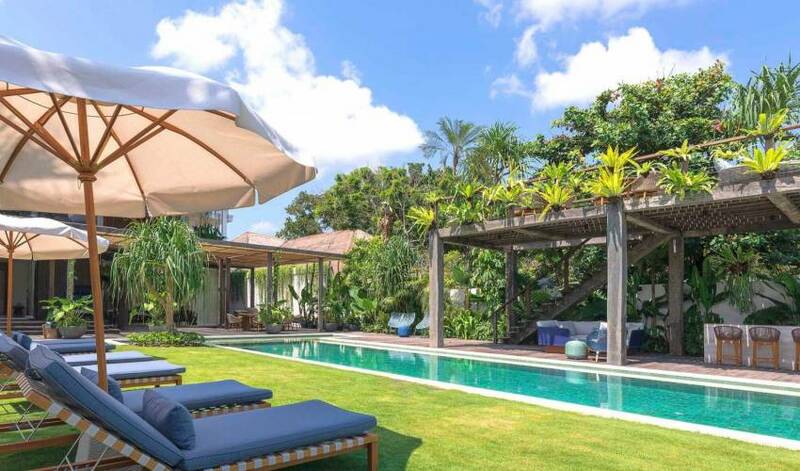 Villa 3145 is a private oasis with big open-plan living and dining spaces, garden terraces and rooftop lounges. Bedrooms are positioned on the second floor to catch the magnificent ocean views and the ground floor spa is accessed through a graceful colonnade. 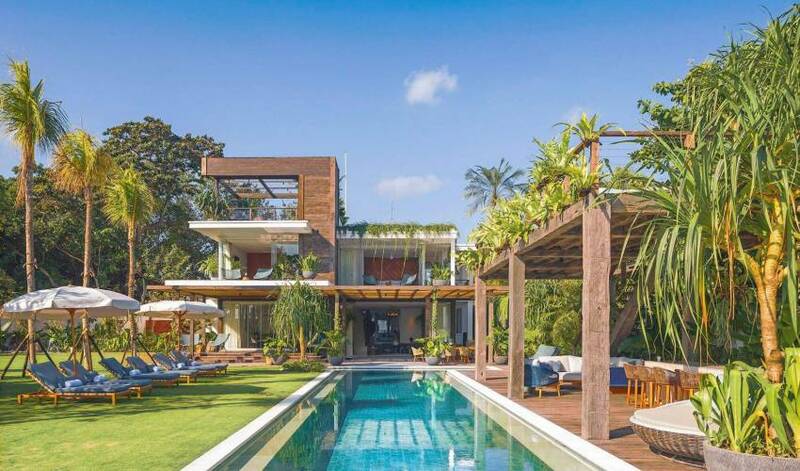 The villa’s living and dining spaces overlook the tennis court and the dazzling 27-metre pool, the entertainment terrace and tropical gardens leading down to the sea. Bali is known for barefoot luxury and the comfort levels at Villa 3145 are off the charts. The spacious living zones and terraces appear to float dreamily upon serene Koi ponds and deeply cushioned sofas overlook the sprawling lawns and the ocean. Meals are enjoyed in the fabulous dining room with its massive 14-seater table, walls decorated with exquisite Asian artefacts and views of the fragrant tropical garden. Adjacent to the dining room is a sleek kitchen, a maître d’ station and wine room. Movies can be projected for open-air viewing on the pool deck or watched from deep cushioned sofas in the air-conditioned media room. 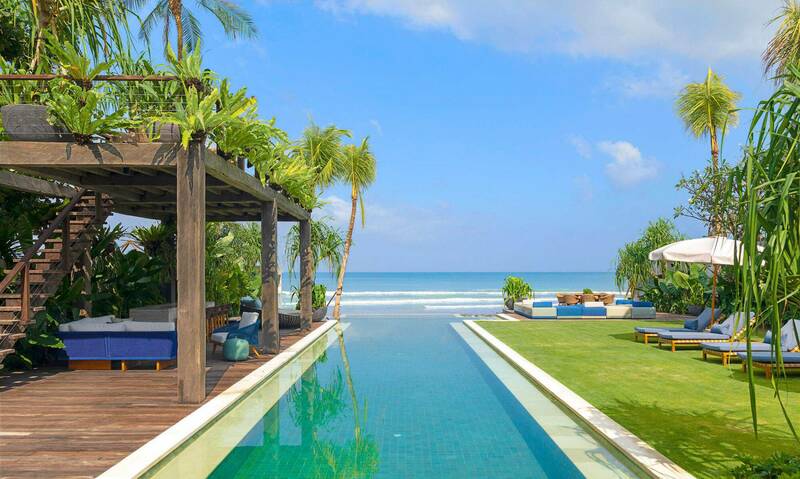 The villa’s sparkling 27-metre pool is at the centre of the estate, and sunny seating areas are dotted throughout the garden, taking in the views of Seminyak Beach from this privileged position. The pool balé is gorgeous for dining and entertaining while the rooftop terrace is designed to optimise the grand tradition of sunset soirées and is a superb viewing deck for the private tennis court. A full menu private spa, with a massage and treatment room, a refreshing plunge and pool bar, is hidden in a secluded walled area. 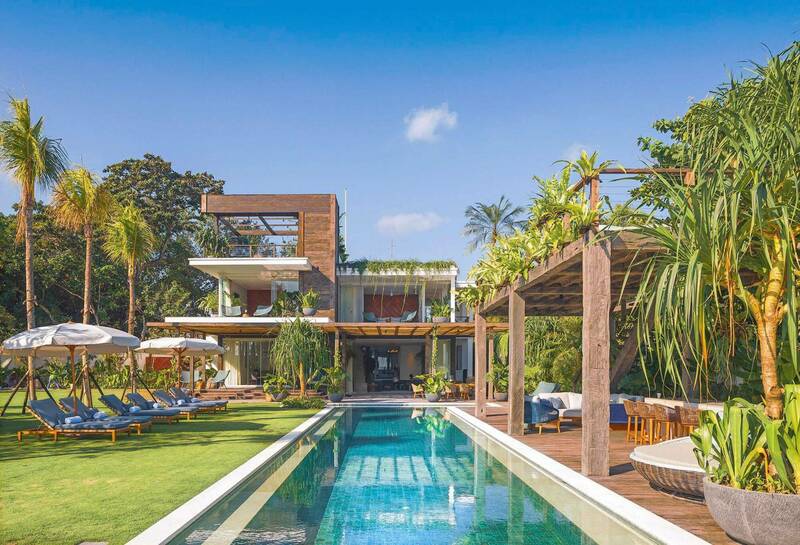 The master suite at Villa 3145 faces the ocean and boasts a vine-covered terrace bordered by a rooftop water feature for enjoying the uninterrupted views. Cooled with a choice of ceiling fans or air conditioning, this suite has calm-inducing mood lighting and a king-size bed with butter soft linens. Catch a movie on the satellite TV, DVD player or relax to some tunes on the suite’s state-of-the-art Void sound system. A deep sofa overlooks the beach while a sumptuous tropical ensuite bathroom has a huge bathtub, rain shower and matching dressers. This beautiful king-bedded room has beach views from a terrace shared with bedroom three. The ceiling fan and air conditioning will keep you cool while the Satellite TV, DVD player and sound system will keep you entertained. Luxuriate in the private island-style ensuite bathroom with double vanity. Elegant handcrafted furnishings in this whisper quiet retreat surround an opulent king-size bed. This bedroom shares a beach-view terrace with bedroom two, making these two rooms a great choice for families or close friends. Luxury amenities include a satellite TV, DVD player, sound system, walk-in wardrobe, air conditioning, fan, mood lighting and a Bali-style bathroom with a power rain shower and twin vanity. These matching bedrooms have top quality split king beds with lush linens, mood lighting, ceiling fan and air conditioning. As with the other bedrooms, they are equipped with satellite TVs, DVD players and Void sound systems. Tropical bathrooms complete these stylish retreats. 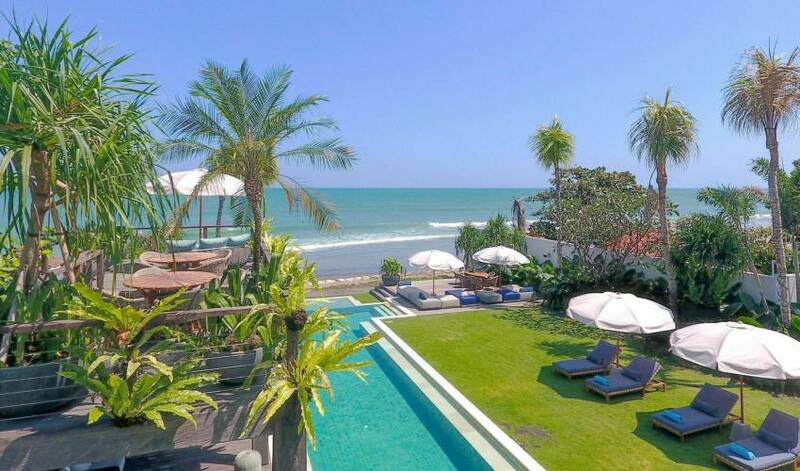 Villa 3145 s an exquisite Seminyak beachfront wedding destination specifically designed to accommodate the exacting demands of weddings and events. The lawns are large enough to seat 150 people for a formal wedding breakfast, lunch, dinner, while the grounds’ abundant dining and lounge areas can accommodate up to 200 guests for a superb soiree. 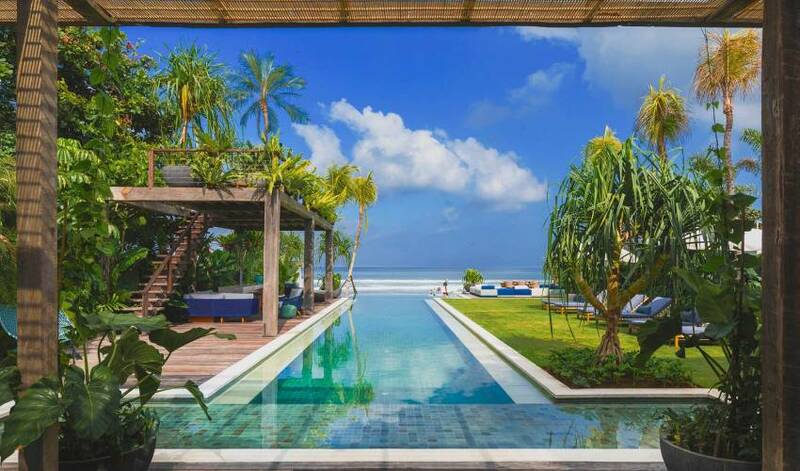 Villa 3145 faces the beach at the end of a quiet lane and only a short distance from some of Bali’s most fabulous cafés, bars and restaurants. 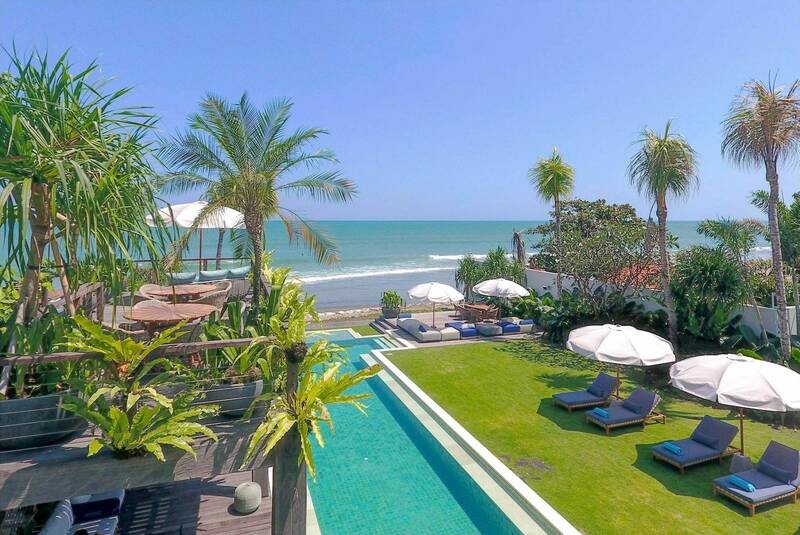 Seminyak is the chic centre of Bali with a buzzing lifestyle that encompasses casual and fine dining, beach bars, day and night clubs, excellent shopping from upmarket boutiques to local markets and beautiful art galleries. Kids will love the skate parks and cinemas and be amazed by the colourful daily ceremonies that take place on the streets and in the temples of beautiful Bali. 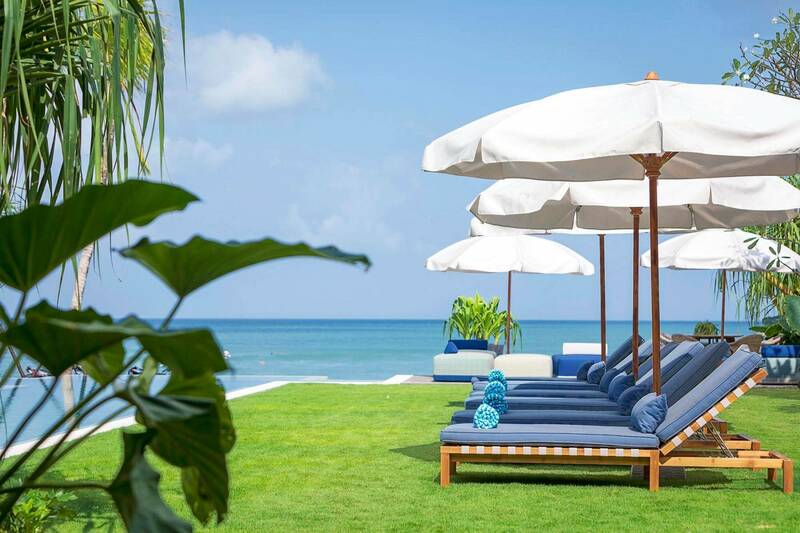 * The ultra hip beach club Ku De Ta with its sensational fine dining restaurant Mejakawi – plus the trendy La Plancha with its beanbags and umbrellas on the sand at sunset, are just a short beach stroll away from the villa. * Hot new dining favourites with both locals and expats are round the corner in Petitenget. While the super retro Luna Dua restaurant is 50 metres away. * Explore world-class boutiques, gorgeous contemporary art galleries and exotic temples all within minutes of the villa. * Head to the world famous Omnia Day Club for multiple cliff top pools, amazing views and world class dining and visit the important sea temple of Uluwatu where you can witness the amazing ‘fire dance’ which is performed daily. * Bali has brilliant cooking classes, sporting activities such as golf, fishing and snorkeling trips. * The divine seafood dinners at the famous Jimbaran fish restaurant never lose their style of bare foot chic. * A day trip to Ubud - the spiritual and artistic heart of Bali – is a must do and return home via Bali’s hippest destination in Canggu for sundowners on the black sand. * If surfing is your passion then the beach is front and centre with world-class breaks for the expert, gentle waves for the beginner and brilliant sunsets for the audience. * For an amazing cultural immersion head to the important Pura Petitenget, the fourth largest temple in Bali, where spectacular Balinese ceremonies are often observed while listening to the haunting sound of a traditional Balinese devotional orchestra. Ask your villa manager who will happily give insider knowledge on local ceremonies or cultural events that will take place during your stay. One of the finest reasons to book a luxury Bali villa holiday is the impeccable service provided by a friendly, dedicated staff. 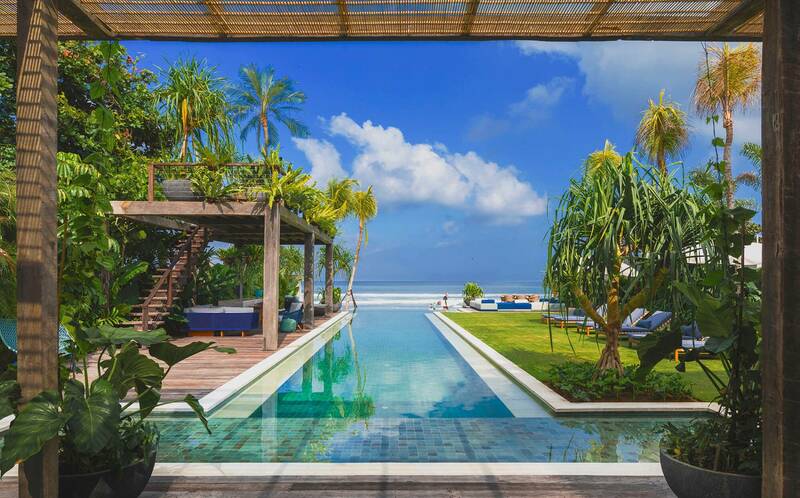 The team at Villa 3145 has been professionally trained to meet exacting standards, and each member aims to please, with warm Balinese hospitality. Just let your Guest Relations Manager or your Villa Manager know your preferences: some guests are comfortable to have attendants on hand to deliver chilled drinks and snacks 24/7, while others prefer meal service only, and others seek total privacy. The level of service at the villa is totally up to you. The world class chef and kitchen team at Villa 3145 are there to prepare your every meal. Whether it’s a healthy breakfast, alfresco lunch or a degustation dinner you decide what tempts you. The chef will whisk up culinary treats, canapés or food for special diets plus kids are spoilt for choice with their own menu. A luxury villa holiday offers huge advantages for families. 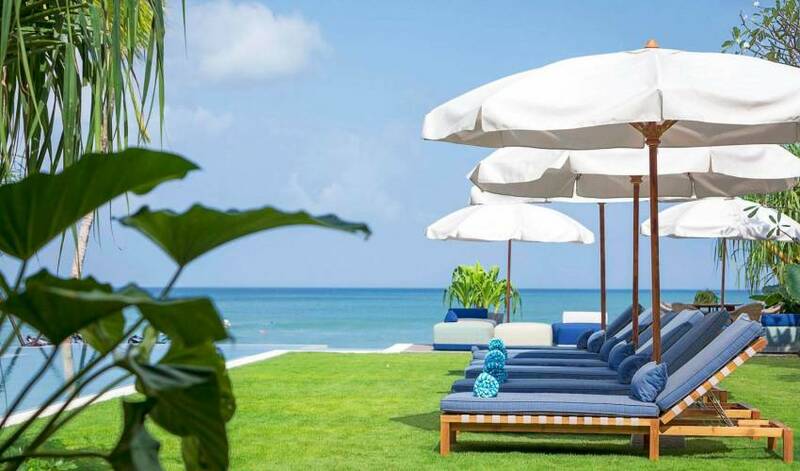 There is a certain joy that comes with facilities such as a huge private pool full of inflatable toys, unlimited access to your own tennis court and open-air movies in a beachside garden. Villa 3145 is a knockout for families with older children and teens, given the the fabulous size of media room and pool deck. However, due to the villa’s beachside location, steep staircases andnumerous fishponds, parents will have to be vigilant with toddlers. Feel like a body scrub or massage? Just ask our staff to bring the spa to you! The spa area at Villa 3145 s an idyllic spot to relax and unwind, or ask for one of the villa’s massage beds to be set up in your room if you prefer. We can recommend deluxe treatments carried out by our fully trained therapists. The Balinese are famous worldwide for their kindness towards children and babies and Villa 3145 staff will make children feel very much at home. Having so many extra pairs of hands at the ready, mums and dads will be able to truly relax. A full time babysitter/nanny can be hired through the villa manager for a small additional cost. Although the equipped kitchen allows you to prepare meals for fussy eaters or babies with ease, staff will be happy to do this for you – just talk through your requirements and meal schedules with the villa manager or chef and they will take care of the rest. 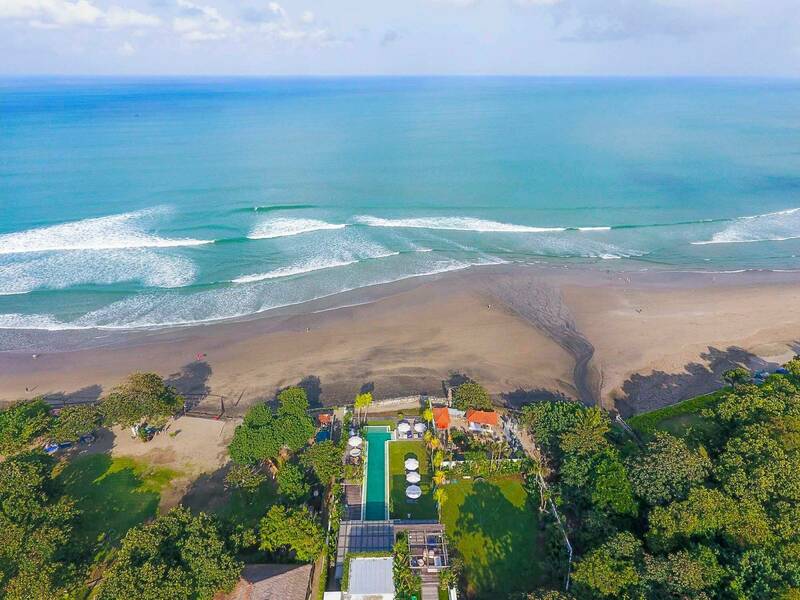 Being based right on the beach, and on the doorstep of Seminyak’s many attractions, means there’s no shortage of activities for guests at Villa 3145 but should you wish to venture further, check out our Things to do there’s plenty in the area to keep all the family amused throughout the holiday. Bali is a foodie’s paradise, and no better place to experience this than with your own private chef and the culinary team at the villa. These world class professionals are as adept at preparing gourmet food as they are at creating delicious menus for the health conscious. All natural ingredients, organic and locally grown products can be sourced for any dietary requirements. Capacity : 12 adults (6 ensuite bedrooms: 3 with king-size beds and 3 with king beds convertible to twin beds). Living Areas: Indoor living area; entertainment and dining pool balé; rooftop terraces, media room, outdoor lounge. Pool : Main pool: 27m x 5m. 0.15m-1.5m depth; Plunge pool: 5m x 4m x 1.2m. Staff: Guest relations manager; villa manager; private chef; butlers; waiters; housekeeping; groundskeepers and security. Spa staff and additional staff including personal trainers, yoga instructors, babysitters are available on request and at an extra charge. Communication: WiFi internet access throughout; mobile/landline phone available to guests for local calls. Entertainment: Villa 3145 Radio; tablet controlled integrated Void sound system; movie projector in the media room; Satellite TV; Apple TV. For Families: Villa 3145 is a fabulous villa for families. Facilities and activities include: pool toys; tennis equipment; board games; cooking classes and Balinese traditional craft lessons. Other items of kids’ equipment are available to hire on request. Transport: A complimentary car and driver (excludes petrol) is available for 8 hours a day for villa guests. Wedding Events: Events for up to 150 guests (seated) and 200 (standing) can be arranged at the villa with prior notice. Additional facilities: Back-up generator; safety deposit boxes; barbecue. Property Area: 1,454sqm (villa). 1650sqm (land).